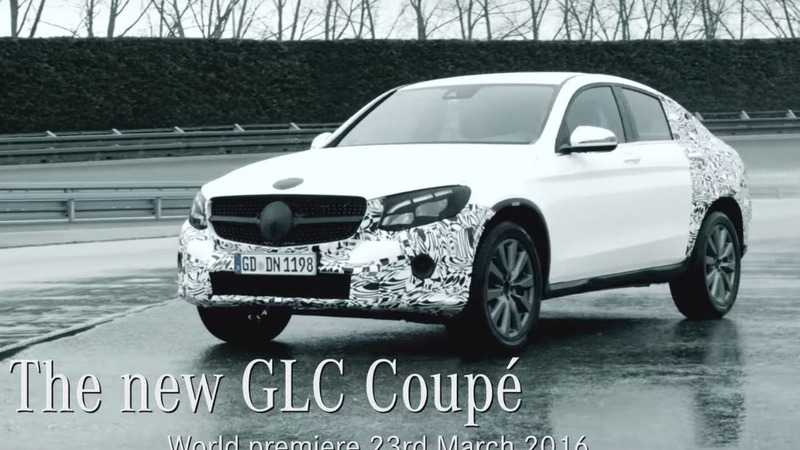 Mercedes has released a new teaser video for the GLC Coupe. Set to debut at the New York Auto Show on March 23rd, the model follows in the footsteps of the GLC but adopts a sporty roofline that mimics the GLE Coupe. The latter touch will limit the model's practicality but crossover coupes have been a hit with consumers ever since the BMW X6 was introduced nearly eight years ago. Mercedes is keeping tight-lipped about the model but it will be offered with a variety of different engines including a turbocharged 2.0-liter four-cylinder that develops 241 horsepower and 273 pound-feet of torque. It will be connected to a 9G-Tronic automatic transmission which can be paired to all-wheel-drive system. This should enable the crossover to accelerate from 0-60 miles per hour in approximately 6.3 seconds before hitting a top speed of roughly 130 mph. Later on, we can expect to see a Mercedes-AMG GLC43 Coupe. It will have a biturbo 3.0-liter V6 engine that produces 362 hp and 384 lb-ft of torque. This should enable the crossover to run from 0-60 mph in about 4.8 seconds before hitting an electronically-limited top speed of 155 mph. 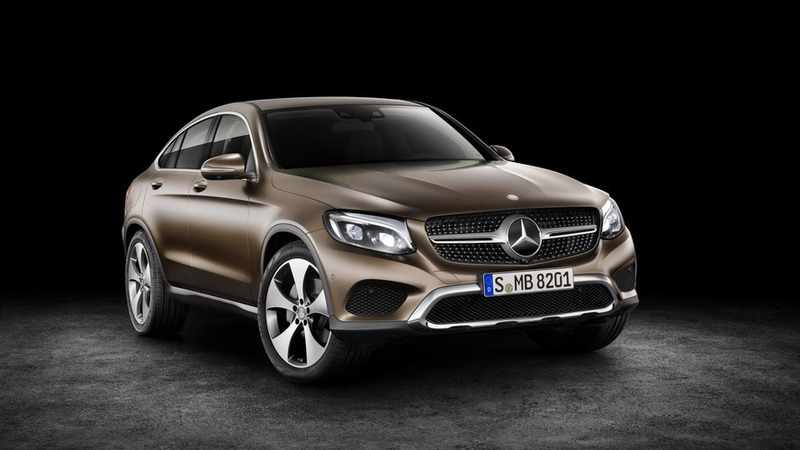 The GLC Coupe will be shown alongside a handful of other new models including the facelifted CLA, E43 4MATIC, and GLC43.